Shanice A. Haynes, 24, is being charged with multiple NYS Vehicle and Traffic Law Violations. NCPD report the arrest of Shanice A. Haynes, 24, of Middle Island for DWI on May 21. 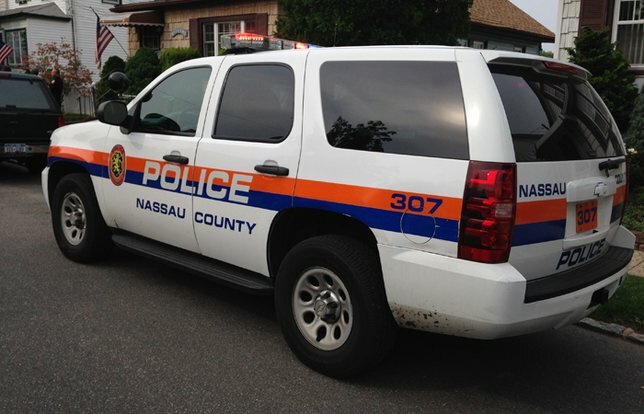 Syosset, NY - May 22, 2017 - The Nassau County Police report the arrest of a Middle Island woman for DWI that occurred in Syosset on Sunday, May 21 at 5:34 am. According to police, a Highway Patrol Officer did block the eastbound lanes of the Long Island Expressway at exit 43 with his Radio Motor Patrol car. This was due to an auto accident investigation of an overturned auto. It was at this time that the defendant Shanice A. Haynes, 24, who was driving a 2009 Saturn passed emergency warning flares set up on the roadway and then struck the unoccupied Radio Motor Patrol Car blocking the roadway with its emergency lights on. A subsequent investigation revealed the defendant was operating her vehicle under the influence of an alcoholic beverage and she was placed into police custody. In addition Haynes and her 23 year old front female passenger were both transported in a Nassau County Police Ambulance to a local hospital and treated for injuries to their right ankle. There were no other injuries reported. Haynes is charged with Driving While Intoxicated 1192.3, Aggravated Unlicensed Operation 1st Degree, Assault 3rd Degree, Reckless Endangerment 2nd Degree, reckless Driving, and numerous NYS Vehicle and Traffic Law Violations. She will be arraigned as soon as practical. Subject: LongIsland.com - Your Name sent you Article details of "Middle Island Woman Arrested for Driving Drunk After Plowing into Parked Nassau County Police Car"